All major junctions in Vijayawada city will get a facelift, with greenery and illumination as part of the arrangements for the Krishna pushkaralu. This will also fulfill a long-pending demand by citizens for renovation of traffic islands and junctions across the city, which had been neglected since years. Special arrangements like musical fountain and laser show at the Prakasam Barrage proposed by the state government will be part of the arrangements to welcome the lakhs of devotees expected to reach the city for the pushkaralu. 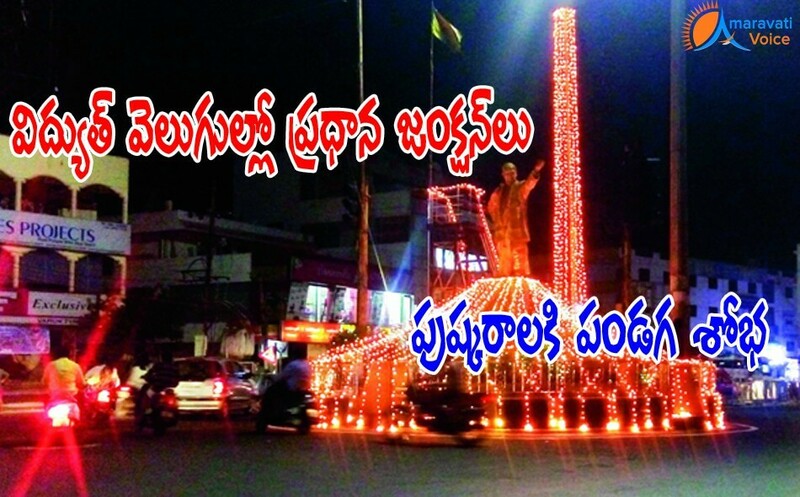 Major junctions like the Benz Circle, NTR Circle, Madhu Chowk, Red Circle, Ramavarapadu, VMC office, Eluru Locks Centre, Lenin Centre and other circles in the city will be renovated on priority basis. Colourful illumination, decorations, fountains and other attractions will be set up and wherever needed, structural repairs would be carried out. The fountains with colourful illumination at night time and laser show at the Prakasam Barraage will be a permanent feature to enthrall the citizens and visitors to Amaravati capital city.